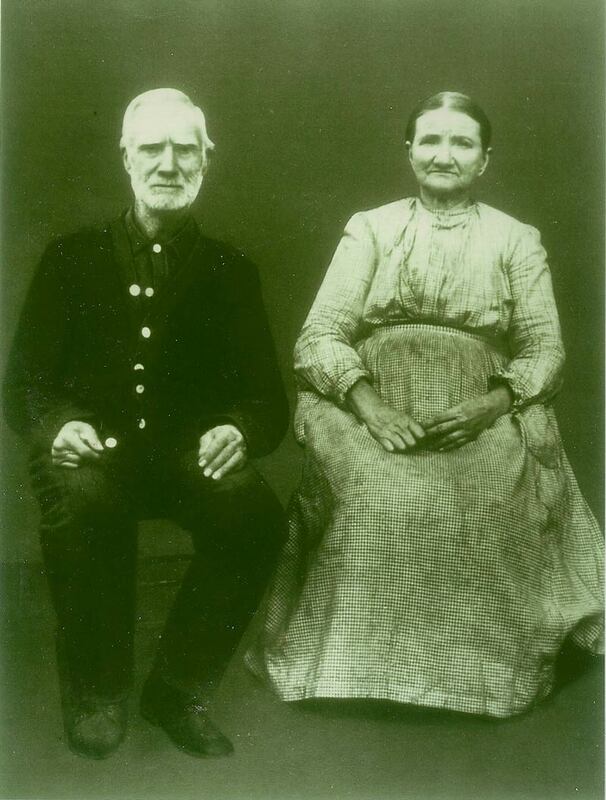 My great-great grandparents. Source: J. Thompson, [e-mail for private use], to Tonia Kendrick, e-mail, 5 March 2011, “Re: [Tonia’s Roots] New Comment On: Seeking Robert West Information,”; privately held by Kendrick, [e-mail & address for private use]. Births Stephen Lawson was born in 1790 in Hawkins County, Tennessee. Mary Ann Ellis was born in 1847 in Gilmer County, Georgia. John V. Fain, Sr. was born in 1910. Deaths Benjamin Burgin died in 1823 in Old Fort, North Carolina (my 6th great-grandfather). 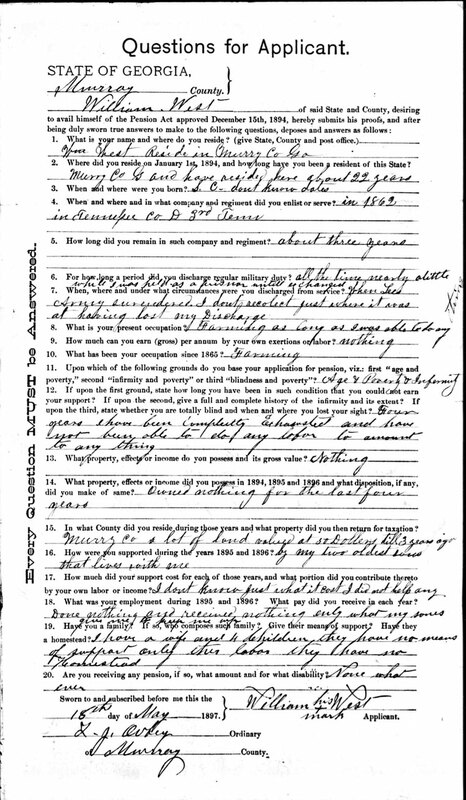 Willie Selmer West died in 1986 in Murray County, Georgia. Births Catherine (Powell) Tilley was born in 1785 in Burke County, North Carolina (my 5th great-grandmother). Martha E. (Harris) McEntire was born in 1844. Deaths Leaty Carolina (Lankford) West died in 1937 in Cisco, Georgia (my 2nd great-grandmother).